Ultrawarmth Boots feature Ultrawarmth Celliant® Infrared Thermal Technology embedded in the inner fabric. Celliant® is scientifically proven and FDA-determined to conserve body heat and accelerate thermal recovery. These easy-entry boots restrict water flow, protect feet from sharp objects and prevent fin blistering. 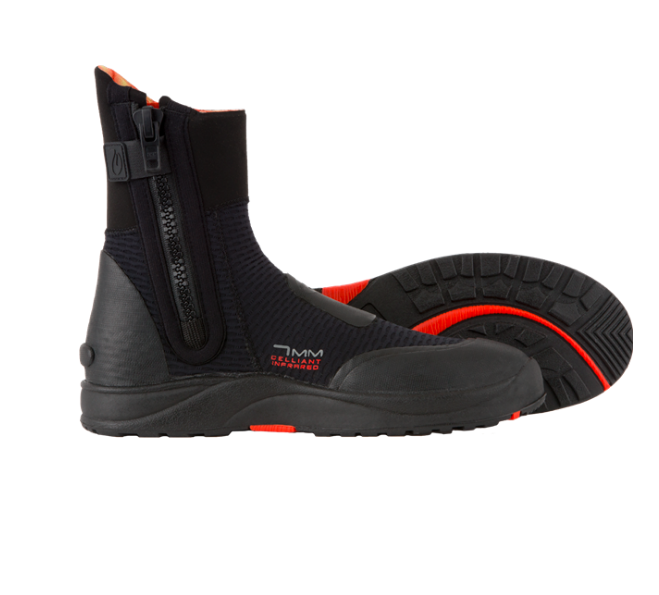 Its heavy-duty sole has been tested in the wettest conditions to ensure support while walking on wet surfaces like boat floors, to and from dive sites, or when shore diving. With a heavy-duty zipper and wide gusset―and ELASTEK full-stretch neoprene around the ankles and calves―they fit all variations of lower leg shapes and sizes. Ultrawarmth Boots are available in multiple thicknesses and styles, complementing any wet diving system.